Mail theft is the #1 white collar crime in America today, according to postal inspectors. It leads to all sorts of problems, including stolen money, disrupted correspondence and even identity theft. It's become such a growing problem and worry that laws are becoming stricter and harsher in many principalities. Existing laws relate not only to the theft of mail, but also subsequent related crimes. Mail theft is a federal crime and is defined as anyone taking any piece of mail, be it a letter or a package, for any purpose. This includes stealing from postage workers, from private mail boxes, from collection boxes and even from mail trucks. Mail theft alone carries a penalty of either five years imprisonment, a fine or both. Other crimes may also be added to this charge, such as assault or breaking and entering, depending on the method of theft. What Is the Penalty for Using a Stolen Credit Card? Similar to mail theft is mail fraud. 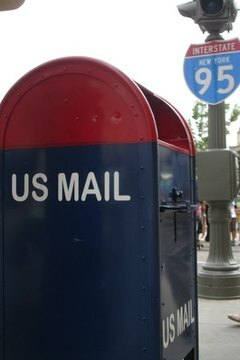 Mail fraud is defined as someone seeking to steal from you using the United States Postal Service. Usually this is done by way of a complex scam. Such fraud was recently brought to wide public attention following charity scams in the wake of natural disasters. The perpetrator need not be successful to be prosecuted. Simply attempting to receive fraudulent payments is enough to prosecute someone. One of the main motivators in mail theft is to subsequently steal that persons identity and receive access to their private information, including bank accounts and credit cards. Identity theft is incredibly destructive to the victim and can take years to sort out and fix. Much like mail fraud, one needs not be successful to be punished for identity theft. Simply gaining personally identifying information without consent is illegal. Because of this, identity theft is often tacked on to charges of mail theft. Simpson, Lennon. "Mail Theft Laws." , https://legalbeagle.com/6548806-mail-theft-laws.html. Accessed 25 April 2019.